The first inspiration for the project was the site itself. Full of exotic trees and plants (original landscape plan by the famous landscape architect Burle Marx), the main goal turned to integrate the exterior garden with the interior spaces, by opening big windows and doors and bringing that extraordinary scene into the house. Further, since the client is an art collector, the house interior works as a neutral background to valorize the art pieces, just like it would in an art gallery. 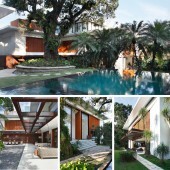 This Project is a complete refurbishment of a 1500 sq meters colonial house divided in 2 blocks. The clients wanted to keep the original dimensions and distribution of the house yet giving it a more contemporary look. Following this principle, only the interior walls were demolished and rebuilt with a new layout. The exterior ones were only enveloped with a new facade, keeping the original structure of the house. This Project is a complete refurbishment of a 1500 sq meters colonial house divided in 2 blocks, the main one dedicated to the social areas and the second one to the service areas. The outside structure was maintained, but the inner layout was rebuilt to serve the clients needs, paying attention to a minimum of corridors and maximum of interaction with the garden and lounge areas. The Brazilian climate that allows one to enjoy the exterior spaces all year round can also get very aggressive with extremely strong rains and hard sunlight. These factors influenced the large canopy all around the house and the wooden exterior slat screens that ensure brightness control and thermal comfort for the inner spaces. Additionally, solar panels hidden on the roof and a rainwater collection system extract the best of the weather adversities. The double height of the 1500 sq meters house is influenced by one of the most striking elements of the house: the 2,20 x 6,20 meters high wooden door. It is 200mm thick and required hiding on the floor a special car absorber to make it possible to handle. The White Peroba, endangered wood specie, was used on the original flooring of the house, and then completely recovered and used on the intimate areas. The site and the client are always prompting a unique design. The materials, techniques, aesthetics and dimensions are thought to attend one specific clients needs, inside one specific environment. Frequent visits to art fairs builds reference for colors, textures, volumes and concepts for the projects. While the nonstop architecture research maintains the projects in a contemporary standard in a global scale, yet not leaving behind the particularities of each site, client and project. Settled on an extraordinary site, the Project was challenged to integrate the existent garden, designed by the famous landscape architect Burle Marx, while renovating a colonial house. All that, matching the distinctive needs of an art collector for a client. Environment and climate were also a big challenge. Strong rains and hard sunlight induced technical and aesthetical solutions, like the wooden exterior slat screens and a rainwater collection system that ensures a sustainable home. Tempo House Residential House by Gisele Taranto Arquitetura is a Nominee in Interior Space and Exhibition Design Category. 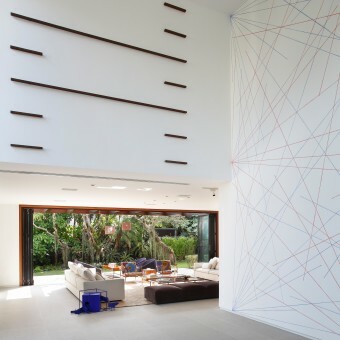 Tempo House Residential House by Gisele Taranto Arquitetura is Winner in Interior Space and Exhibition Design Category, 2013 - 2014. Did you like Tempo House Residential House? Help us create a global awareness for good interior design worldwide. 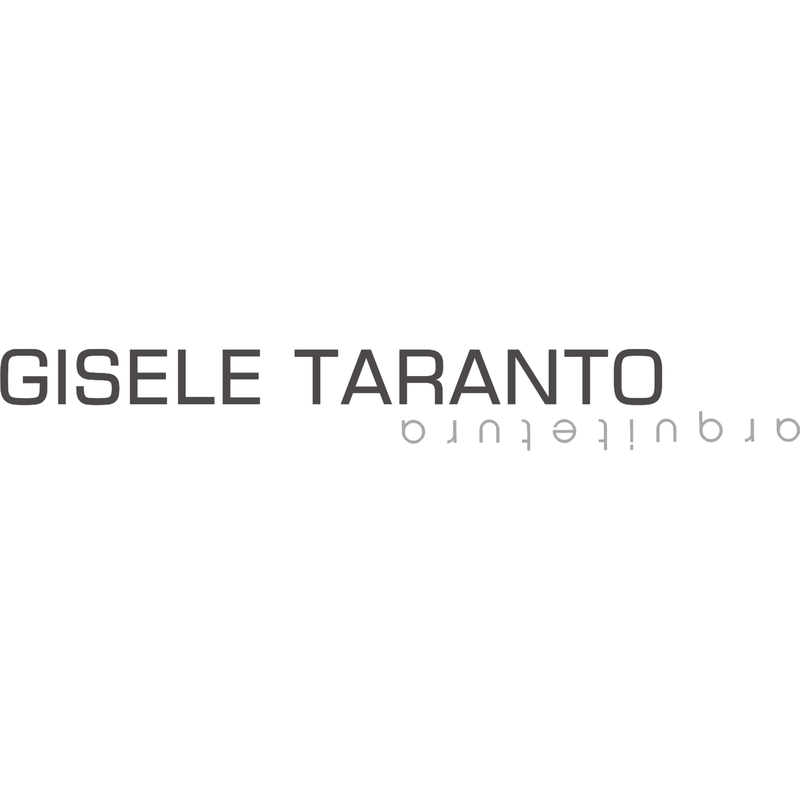 Show your support for Gisele Taranto Arquitetura, the creator of great interior design by gifting them a nomination ticket so that we could promote more of their great interior designs.